Man of Steel continues to soar at the box office with a highly anticipated sequel being planned. Director Zack Snyder’s Superman reboot has earned more than $500 million worldwide, with some major international markets still to open. Man of Steel has earned $248.7 million domestically, and $271.7 internationally, for a worldwide total of $520.4, to date. 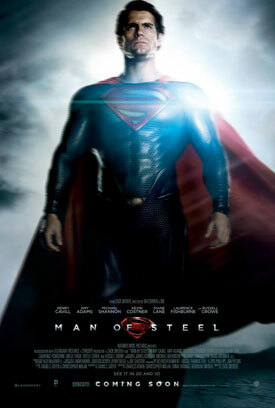 “Man of Steel” opened at the top of the box office in the U.S. and Canada, with the biggest June release ever. The film opened at number one in many international territories, and continues its roll out with record-breaking bows. The film is still to open in Brazil and Japan. Man of Steel continues to set records worldwide in IMAX theatres, where it has earned an estimated $27 million domestically and $18.9 million internationally, for a worldwide total of $45.9 million. Zack Snyder and writer David Goyer will soon present their Man of Steel 2 ideas to Warner Bros. Pictures: “I haven’t yet gotten to speak to the studio about all these awesome details (because I’ve been overseas on the junket). So my hope is, when I get home I can sit down with everyone and it’ll be like ‘Okay, so what are we going to do?.. we need to do something…'” Snyder said.